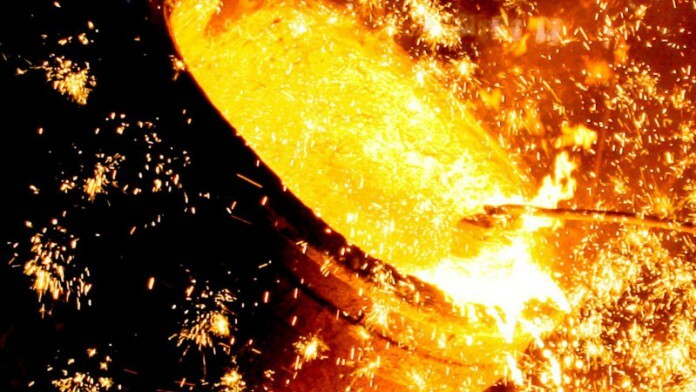 ARCELORMITTAL South Africa (AMSA) announced steel price increases of up to 11% – more than double inflation – in an effort to keep its Vanderbijlpark Works afloat – a steelmaking facility that is currently losing R300m a month. Themba Nkosi, GM of AMSA’s human resources, corporate communications and stakeholder affairs, said today the Vanderbijlpark Works was of critical importance but it continued to face cost pressures including the recently announced 9.4% increase in electricity costs. There had been also been an increase in the cost of iron ore following a 14% increase over the last month of the mineral (but down just below 5% year-on-year) owing to restocking of steel in China. “The challenges faced by ArcelorMittal South Africa and the local steel industry are still persisting, and they are putting the company and the steel sector in a difficult position,” said Nkosi in a statement. “Creating a sustainable and profitable business is critically important for the stability of South Africa’s ongoing steel needs and requirements,” he said. AMSA said in August last year that it would cut 400 jobs following a restructuring of its Vereeniging Works and said a review of operations had been extended to Vanderbijlpark. The South African government had agreed to provide some import duty protection against Chinese imports whilst Sishen Iron Ore Company, a subsidiary of Kumba Iron Ore, had also agreed to lower its iron ore sales price to AMSA. However, the company remained in dire straits. AMSA shareholders suffered an R8.5bn loss in the year to December from a R158m loss in 2014. It posted R4.25bn in impairments for the year after a year of heavy restructuring. The company completed a R4.5bn rights offer to get back on its feet, largely under-written by Luxembourg-based parent company, ArcelorMittal. The outcome is that AMSA’s hot rolled coil product will be increased 9% on average from April while plate ad cold rolled steel will increase 11% on average. Long products used in construction, such as reinforcing bar would be increased 8% whilst light sections which are used for fencing and windows would increase on average only 2% from April. Nkosi said steel prices had been increasing this year but that the company had kept its increases in line with fair pricing procedures as agreed with the South African government. Meanwhile, the government’s promise to impose duties on cheap imports had not yet taken effect. Quite whether the price increases fully reflect global trading conditions remains to be seen. There had been a recent kick up in steel prices globally – which was behind the spike in iron ore prices – but this was unlikely to be sustained, according to Goldman Sachs. “The strong spot margin for China steel had been a major reason for the improvement in sentiment around the iron ore market with the potential for more demand from steel mills in a positive pricing environment a major part of the bull case,” it said in a note to clients. “The sharp retracement suggests that end demand is not sufficiently high to justify prices at this level,” it added.